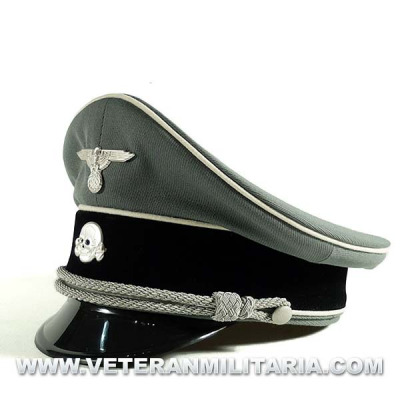 Allgemeine SS Officer Visor Cap, made of black gabardine fabric, black velvet band, trim white wool, satin lining, eagle insignia and the skull. Waffen SS Officer Visor Cap, made of gabardine feldgrau color, black velvet band, trim white wool, satin lining, eagle insignia and the skull. 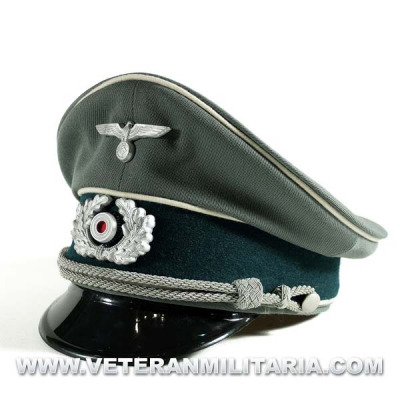 Wehrmacht Officer Visor Cap, made of gabardine feldgrau color, velvet band dark green trim white wool, satin lining, eagle insignia and cap badge. 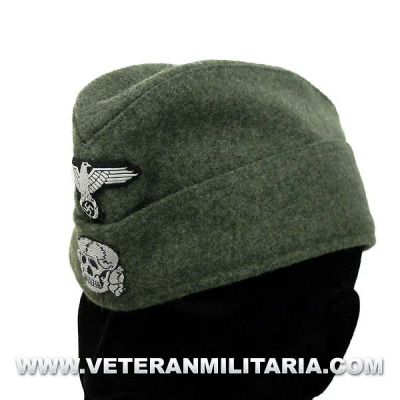 Reproduction of the 1934 silver cap for officers of the Wehrmacht (Alter Art), made of feldgrau wool, leather visor, embroidered insignias in vevo, dark green band, inside sheepskin band, lining mix silk fabric and cotton, manufacturer markings. 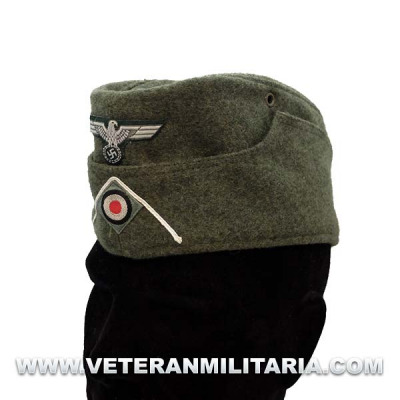 Reproduction of the 1934 silver cap for officers of the Waffen SS (Alter Art), made of feldgrau wool, leather visor, embroidered insignias in vevo, black band, inside sheepskin band, lining mix silk fabric and cotton, manufacturer markings. 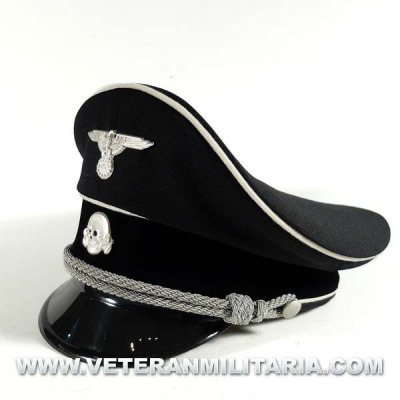 Reproduction of the 1934 silver cap for officers of the Waffen SS (Alter Art), made of Field Gray Wool Tricot, leather visor, embroidered vevo insignia, black velvet band, inside leather band of Sheep, cotton blend fabric lining and cotton, manufacturer markings. 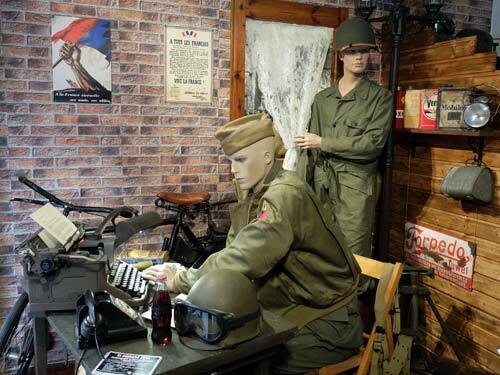 Reproduction of the officer cap M41, made of high quality cotton in olive green, silver plated, has two ventilation holes for each side, red interior with manufacturer markings, includes cucarda and live.